A brand that I've seen a fair bit about in the blogging world, but have never tried anything from is IT Cosmetics and the main reason for that is because it hasn't been widely available in the UK until now! To celebrate their launch online, the lovely PR team sent me their best selling products to try and let me tell you I've been pleasantly surprised! Take a look at what three products i'd recommend trying from IT Cosmetics..
One product that i'd heard and seen a lot about is the IT Cosmetics Bye Bye Under Eye Concealer* (£22.50) and I've read some amazing reviews about this concealer, and how amazing it is at covering all the dark circles and creases under your eye. Now being someone who doesn't suffer that badly with under eye darkness, it's not a product that I need but after just one use I could instantly see why everyone loves this concealer! It has a very creamy, yet thick consistency and it's safe to say a little goes a very long way (so I found out, when I practically could cover my entire cheek with the amount of product I had used! ), and it's coverage is absolutely insane! I also find that the lighter shade from the shades I was sent works really well to highlight the under eye area also, and it lasts so well throughout the day, so I can totally understand why this get's so many amazing reviews! The other product that I was excited to try is the IT Cosmetics CC+ Full Coverage Cream* (£30) and I've not tried many CC creams in my time but I was blown away with just how good the coverage of this was, especially for a CC cream. I've been using this more as a concealer as of late, because I've had an awful breakout along my jaw line that even my usual collection concealer hasn't been able to cover, and I've really relied on this product which has been my saviour! If you're on for my lighter weight foundations, but like a decent amount of coverage then you'll absolutely love this! The last product from IT Cosmetics that I wasn't expecting to like, because i'm so loyal to my ABH Dip Brow but I thought i'd see how the IT Cosmetics Universal Eyebrow Pencil* (£19) performed because it's designed to be one shade suits all. Which to an extent, i'm not sure how true that is but I do find that it can work in different ways, depending on how heavy handed you are. I do find my brows look more natural with this pencil but it works really well to define them, and fill them like no other pencil that I've used. I also find the spooly brush on the other end to be so handy, especially to brush through your brows and shape them before filling them in. If you're a fan of eyebrow pencils and you're looking for a new one to try, i'd highly recommend trying this one out! 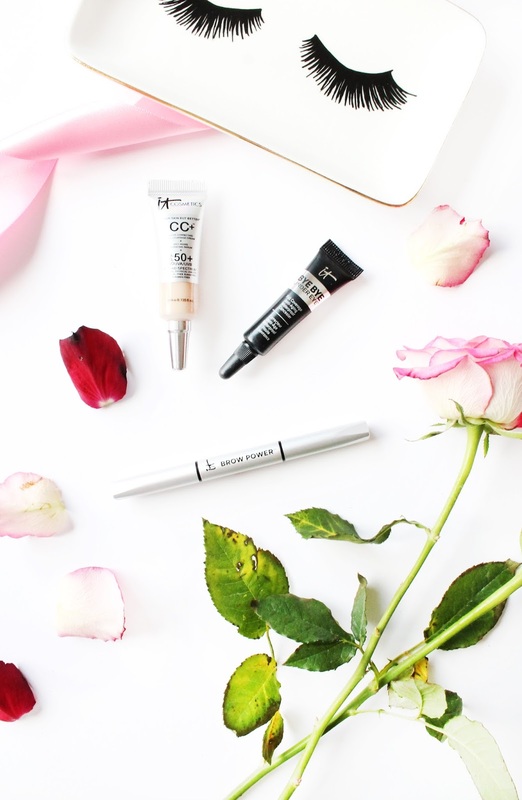 If you're wanting to order from IT Cosmetics, make sure to sign up to their newsletter and you'll receive 10% off and free delivery on your first order. Have you tried any products from IT Cosmetics?